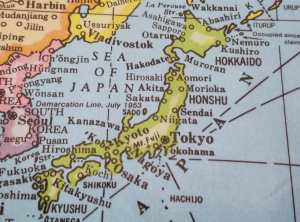 Japan’s Ministry of Agriculture, Forestry & Fisheries (MAFF) reported the seventh Classical swine fever outbreak since September 2018. According to the MAFF (computer translated), the outbreak was confirmed on a pig farm in Kakamigahara City, Gifu Prefecture. The farm has 127 breeding pigs and 1,535 fattening pigs. (1) We will promptly and appropriately implement the necessary epidemic measures such as slaughtering of farmed pigs at the farm, burial burialization, setting of movement restricted areas, etc. (2) We will promptly check the occurrence status of the farm within the movement restricted area. (3) To prevent the spread of infection, strengthen disinfection around the farm and set up disinfection points on the main road. (4) We will send a national epidemiological survey team to investigate the infection route etc. (5) We will aim for the early detection and early reporting of the disease. (6) We will strive to provide accurate information to producers, consumers, distributors, etc. while trying to fully collaborate with related ministries and agencies. (7) We will thoroughly give guidance on compliance with feeding hygiene management standards such as disinfection of farms and prevention of invasion of wildlife into farms. (8) Investigate all possibilities of infection route etc. and prevention of spread.